Domingue (lower body) is in the projected lineup for Wednesday's Game 1 against Columbus, NHL.com's Dan Rosen reports. 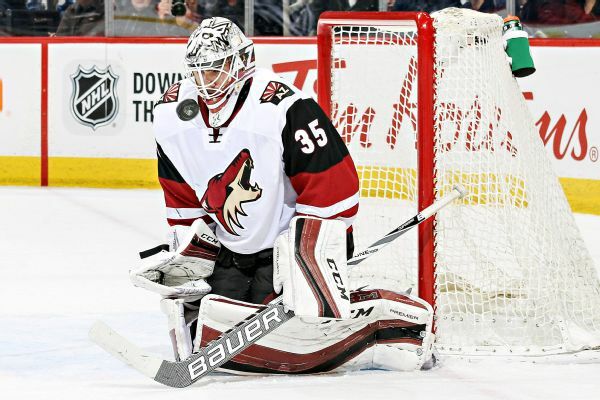 The Arizona Coyotes have traded goalie Louis Domingue to the Tampa Bay Lightning for forward Tye McGinn and goalie Michael Leighton. 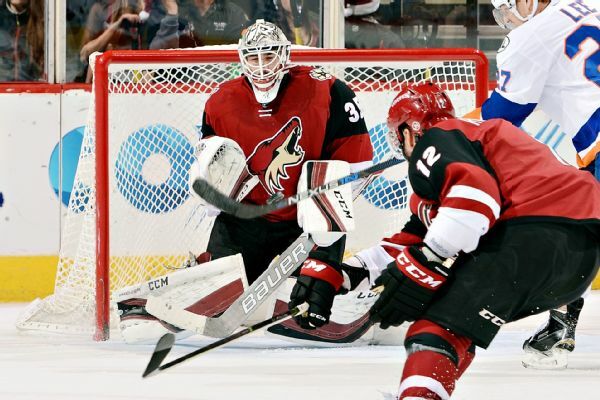 The Arizona Coyotes have recalled goaltender Louis Domingue and defenseman Dakota Mermis from the Tucson Roadrunners of the American Hockey League. 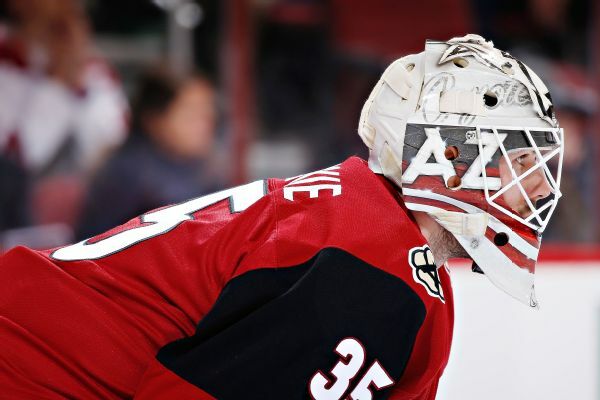 Louis Domingue signed a two-year contract with the Coyotes after setting the franchise record for rookie wins with 15 last season. Louis Domingue collected six wins, including a shutout, and posted a 2.20 goals-against average during January. 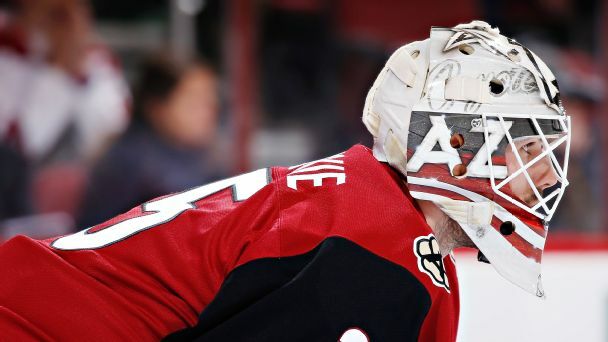 In one of the season's great, unforseen tales, goalie Louis Domingue has stepped up his game since being called up and has helped the surprising Coyotes stay in a playoff spot. 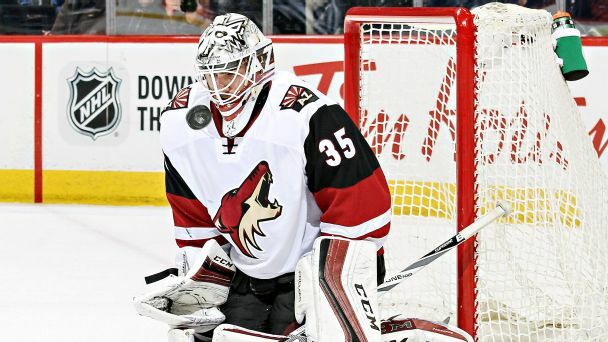 The Arizona Coyotes have signed goalie Louis Domingue to a one-year contract.